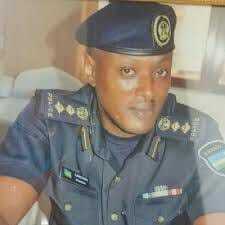 For those who don’t know him, he is the police attaché to the Rwanda’s Embassy in Uganda. This diplomat whose dark eyes, seemingly lead to his dark heart, I had the misfortune to meet in 2015, following my husband’s arrest by the Rwandan government. He is my topic choice today, not only because of my husband’s incident but also due to his direct involvement in the crime of kidnapping Rwandan refugees and Ugandans of Rwandan origin. Like I had told you before, when my husband was arrested, he was parked at Cyanika border from 11:00am to 5:00pm,and was left with his phone and arrogantly advised to call whoever he wanted, for no one would save him. So he had all the time to call me but also mistakenly thought that his arrest was not a serious one, but he was wrong. Two days later, I reported to Interpol, took his story to the media, but also informed his Embassy (Congo), after which I drove to the Rwandan Embassy in Kampala. I just like my husband, I thought it was a legal arrest and I therefore went to inquire with them on how I would follow on him, and perhaps get legal service for him. With all this, something wasn’t adding up, for my husband is no Rwandan, and I knew that they didn’t have jurisdiction over him, but I had to contact them anyway for whatever was cause, and why they had arrested/kidnapped him. However, the above wasn’t my only reason for majestically driving to this Embassy, but my confidence was based on the fact that I knew one John Ngarambe, Ismail Baguma’s predecessor, who until that time didn’t know that he had been recalled back to Rwanda. 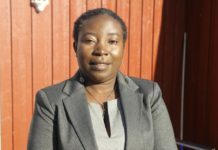 Since 2008, I had known this diplomat (John Ngarambe), for we had been neighbours in Bukoto, for over five years, but also because he had pretended to adore my first son, yes I say pretended, for I later found out after my husband’s arrest, that the reports on which his arrest was based on, had been compiled by this John Ngarambe. After finding out all this, I remembered how my husband had always told me that he doesn’t want this diplomat near his family, something that I brushed off as just jealousy tantrums from him, he often warned me, that John Ngarambe’s purported love for my son was not genuine, but instead a way of coming near us, to spy on him. I didn’t believe him, and I therefore haven’t forgiven my self for never believing my husband over something that turned out to be dangerous to his life. Anyway, back to Ismael Baguma, I drove to the Embassy and found the secretary Regina who after seeing the anxiety on my face asked why I was looking for this John Ngarambe, I briefly told her my story and she immediately informed me that this John Ngarambe had been recalled to Rwanda and replaced by one Ismail Baguma, whose mobile number she handed to me. Immediately I called Baguma, who directed me to find him at village mall Bugolobi, I drove straight to where he was and told him that my husband had been arrested by his government and I therefore wanted to be told why and how he could be reached. However, what caught my attention is that despite, the seriousness of this matter, this gentleman, never seemed to be bothered, he asked for his name and pretended to call Cyanika border – Rwanda side, and after that one minute call, lied to my face that immigration at Cyanika border didn’t have my husband’s name in the data of those who had been arrested or even passed there. I listened to his lies and yet I knew it for that my husband was kidnapped through Chyanika border crossing, my heart was filled with anger and for a minute, I thought of swinging my hand bag in his face, but a small voice said to me that, “Prossy you are better than this heartless individual,” So I picked my car keys and drove away. Meeting this so called diplomat and reading his body language, I was convinced that something illegal was going on, and I decided to go to the bottom of this problem and what I found out was horrible and will be my story for another day. After this though, I was later put in touch with one police constable, by the names of Ali Kabanda, who had blown a whistle on Baguma and his team’s crimes against Rwandan refugees and Ugandans of Rwandan origin. Following my introduction to this police constable, he gave me bit by bit vivid description and the role of Ismael Baguma in kidnapping and disappearance of above mentioned groups. Ali Kabanda narrated how Kigali group had started arresting these banyarwanda refugees in mid 2000s, but the hunt for Ugandans of Rwandan origin, from the cattle corridor had started in 2011 following General Kayumba Nyamwasa’s fallout with the regime in Rwanda. So combining this police man’s story, with what I had read from Ismael Baguma’s body language, where by he couldn’t even look me in the face while talking to me, I realized that this police diplomat was no different from any other criminals that I had mate through my life journey. 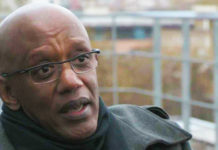 My focus, however, was to find out why these groups of people were targeted, and this took me to the cattle corridor, where I conducted some kind of research and what I unearthed was that it was a grand plan, prepared and executed by the Rwandan Embassy officials in Kampala. Following General Nyamwasa’s departure, from Rwanda, Rwanda started infiltrating these cattle keepers, who are believed to be his (Nyamwasa)sympathisers, denationalize them by encouraging them to acquire Rwandan citizenship through giving them passports and national IDs of Rwanda; baptize them as Rwandan diaspora, which left them vulnerable and thus under Rwanda’s control. This would make Uganda government to don’t have a claim on the Rwandan diaspora in Uganda. This was achieved, mainly because these cattle keepers are rich in terms of miles of land and hundreds of cows they own, but are very ignorant about their rights and the laws of the land, so they were encouraged to send their graduate sons and daughters to Rwanda for jobs, something they embraced due to the rampant unemployment in Uganda. These young men and women would be taken for military training (Ingando) from where they would be brain washed and made to swear allegiance to serve the interests of Rwanda at whatever cost, no matter, where they are in the world. After this, they would be given Rwandan documents and mostly redeployed back to Uganda, in various businesses and projects which are funded by mostly Rwanda’s department of military intelligence (DMI). 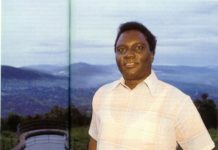 However, trouble came started, when these Ugandans turned banyarwanda would be tasked with dangerous missions of spying and harming some Ugandan government officials and other people in Uganda, that Rwanda views as their enemies. These people often failed to rise to the occasion and would instead abandon their work stations and run back to their villages, thinking that they could perhaps hide away from Rwanda’s security services. Ladies and gentlemen, it’s due to this that Ismail Baguma together with some Ugandan police officers had embarked on the mission to hunt down these balalo boys, that had turned into traitors of Rwanda through failing to accomplish their tasks as instructed to them by DMI. 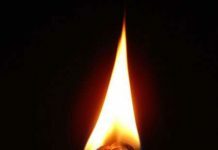 I will add on this next time, as its too long to complete in a single write up – post. Previous articleKagame, On May 12, 1994, Rejected UN Intervention Force. He Said It Was Too Late To Stop Genocide. 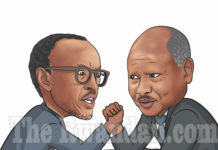 Next articleKagame, The Dream Team To Worry About Is Not Himbara And Gasana. The Real Team Is Made Up Of The Brave Women You Could Not Silence.